Best Practices for Dealing with Frozen Car Locks - Muscle Cars Zone! With the temperatures dropping below zero, winter can be one of the toughest times of the year. One of the worst experiences as a driver is to find one of your car doors frozen. Not only can this be an inconvenience, but it can also be a precursor for even more damages to your vehicle. In most cases, people learn how to take care of their vehicles from their parents or friends, which might often lead to more harm than good. For instance, yanking your car`s door handle during such situations might easily lead to its damage along with the damage of the internal parts of the lock. The best way to approach this would be to avoid being too rough with handling your frozen car doors. The modern car doors and locks tend to have tight seals which are barely penetrable by water. While most people suggest that you should pour hot water onto the locks, this might be a bad idea. The hot water will barely go through the seals. On the other hand, pouring hot water might further complicate the situation depending on how cold it is. The water can easily freeze on or inside the lock if any of it manages to find its way inside. Secondly, avoid trying to force the key to open the door. This can easily break the key or even result in a broken door lock. In case you feel that the situation might need urgent attention, it is best to contact your local car locksmiths. 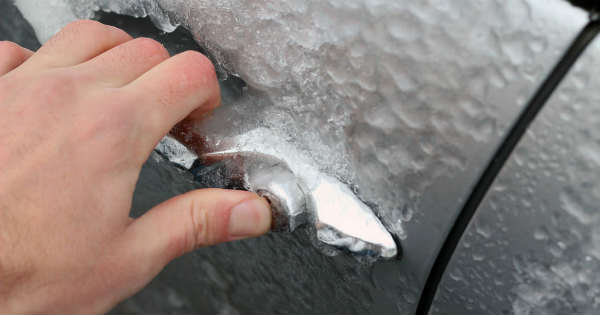 If you have a de-icer, spraying it on the lock will help to unfreeze it along with other frozen parts of the vehicle. You can also spray the de-icer or straight rubbing alcohol on your car keys before inserting them into the lock. In case you have none of the above nearby, you can simply use a hairdryer to blow the lock. Once you are done, insert the key and try turning it. For situations where the lock hasn`t frozen excessively, simply heating your key will be enough to turn the lock. Remember to be patient with the lock as being too rough when trying to open the car will only lead to a broken lock or key. Freezing will mainly occur when moisture finds its way into your door lock. Once it freezes over, it can make it easy for certain parts of the lock to get broken easily. The trick is to prevent this moisture from getting into the lock in the first place. Spray a moisture displacer on the lock every once in a while. It will both displace the moisture within the lock and prevent any more from finding its way in there. Alternatively, you can switch to using greaseless lock lubricant to deal with the frozen locks. Car door seals and gaskets that have any spaces between them will typically allow water to sip into the interior of the door. Additionally, this water might make its way through the lock seals. Once it freezes over, it will make it tough to open the door or turn the lock. To be safe, inspect your gaskets and seals for any inconsistencies such as tears, or openings. If there are any issues with these parts, they should be replaced as soon as possible. On the flip side, dirt and grime on the gaskets and seals will make it tough for these parts to seal your vehicle effectively, increasing the chance of water infiltration. Use some warm water to clean these areas and dry them with a dry cloth to prevent any moisture from freezing your door locks. When dealing with frozen car doors and locks, you shouldn`t let your frustration get the best of you. You should instead be careful with the situation and commit to strategies that will help prevent it. 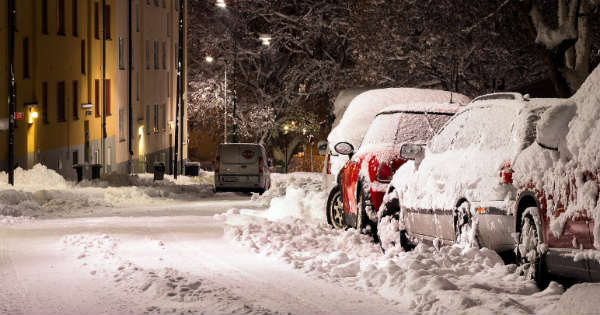 In case a freezing situation seems too complex, it is best to contact a car locksmith or even a mechanic.